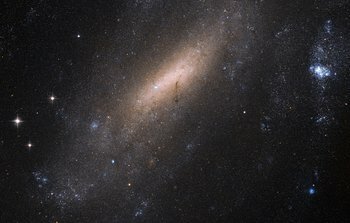 12 December 2016: In 1900, astronomer Joseph Lunt made a discovery: Peering through a telescope at Cape Town Observatory, the British–South African scientist spotted this beautiful sight in the southern constellation of Grus (The Crane): a barred spiral galaxy now named IC 5201. 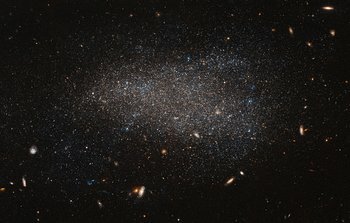 Over a century later, the galaxy is still of interest to astronomers. 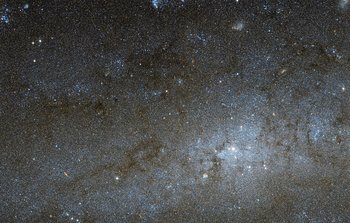 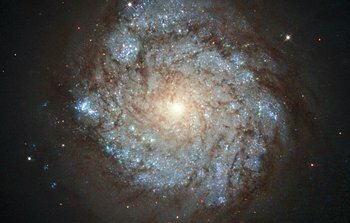 For this image, the NASA/ESA Hubble Space Telescope used its Advanced Camera for Surveys (ACS) to produce a beautiful and intricate image of the galaxy. 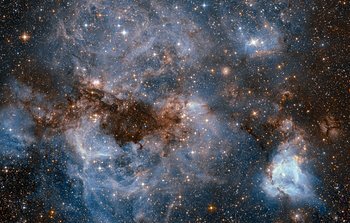 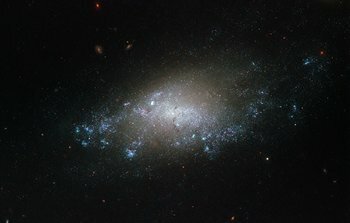 Hubble’s ACS can resolve individual stars within other galaxies, making it an invaluable tool to explore how various populations of stars have sprung to life, evolved, and died throughout the cosmos. 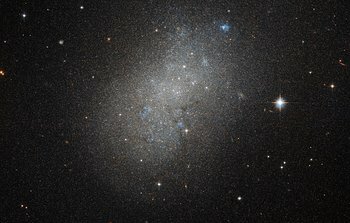 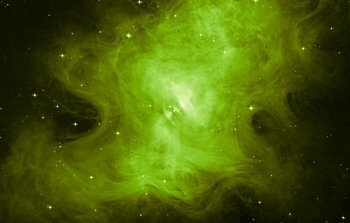 IC 5201 sits over 40 million light-years away from us. 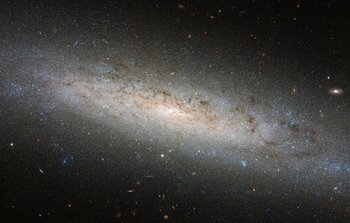 As with two thirds of all the spirals we see in the Universe — including the Milky Way, the galaxy has a bar of stars slicing through its centre. 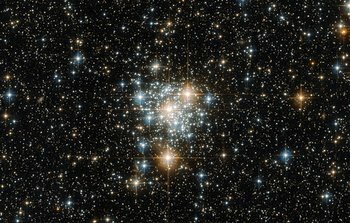 19 September 2016: This intriguing new image captured with the NASA/ESA Hubble Space Telescope shows a dust-bathed cluster of fragments from a disintegrated comet. 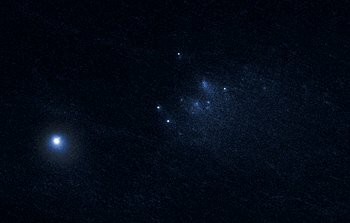 The comet in question, named 332P/Ikeya-Murakami, split into this shower of fragments in the closing months of 2015. 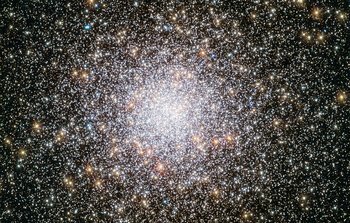 Fragmenting comets such as 332P/Ikeya-Murakami have long been objects of fascination for astronomers worldwide. 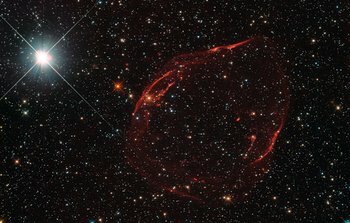 Famously, Comet Shoemaker-Levy 9 disintegrated in 1992, crashing into the atmosphere of Jupiter at nearly 200 000 kilometres per hour, creating scars on it almost half the size of Earth. 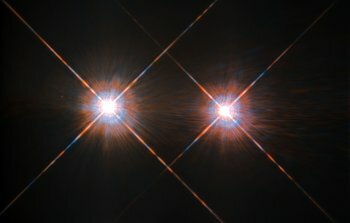 Though well-studied, objects such as this remain a puzzle to astronomers; no theory fully explains why comets split apart on their long journeys around the Sun. 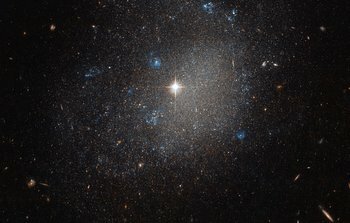 Hubble will continue to observe 332P/Ikeya-Murakami and comets like it, unravelling the nature of these mysterious objects. 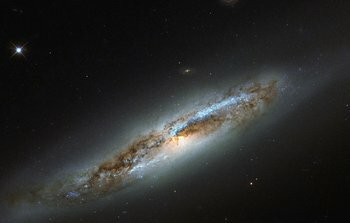 12 September 2016: A lone source shines out brightly from the dark expanse of deep space, glowing softly against a picturesque backdrop of distant stars and colourful galaxies. 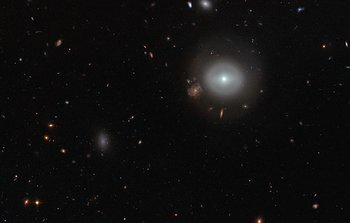 Captured by the NASA/ESA Hubble Space Telescope’s Advanced Camera for Surveys (ACS), this scene shows PGC 83677, a lenticular galaxy — a galaxy type that sits between the more familiar elliptical and spiral varieties in the Hubble sequence. 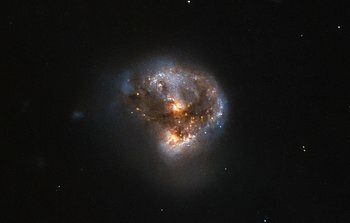 This image was obtained as part of the Coma Cluster Survey. 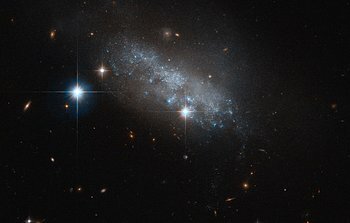 It reveals both the relatively calm outskirts and intriguing core of PGC 83677. 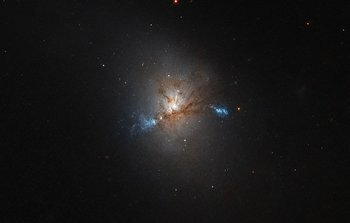 Here, studies have uncovered signs of a monstrous black hole that is spewing out high-energy X-rays and ultraviolet light.